Increase your canola yield another 10% for NO ADDITIONAL COST! Now that we have your attention, we want to make you aware that swathing or straight combining too early can result in lost yield and quality potential. We would also like to provide some ideas of productive things to attend to while waiting for the proper swath or harvest timing so that you have a safe and efficient harvest. Harvest time can be a very busy time, but rushing some actions or using shortcuts can lead to unsafe situations and potentially to accidents. Everyone deserves to have a safe harvest, and following these few precautions can help with this. While you’re letting your canola fields mature to the level of seed colour change that will be best for your upcoming swath or straight combining operation, check these useful items off your harvest prep list. Preparing to straight cut your canola crop? When preparing to straight cut your canola, consider these factors and potential situations, in order to optimize your operation. While some areas aren’t reporting much insect activity, there are a few insect hot spots and some regions with insects close to threshold levels. When scouting your canola for insects, go out in early morning or late evening when larvae are mostly active, and try to sample at least five locations (although 10-15 is recommended) of each field. Look at each of these areas of the plant for these insects. For a quick estimation of what’s going on in fields, pull at least a dozen plants in every field you scout. 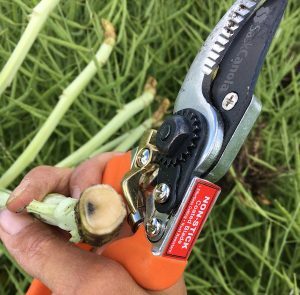 Then, inspect the roots for clubroot, take a look at the stems for sclerotinia and cut at the base of the stem to examine for blackleg. Repeat in suspicious-looking thin, dead or drowned out spots. Record your observations somewhere that it will be available for several years. If that seemed easy you can improve your scouting with the procedure below. Can you identify these diseases? Check out these upcoming events and items!